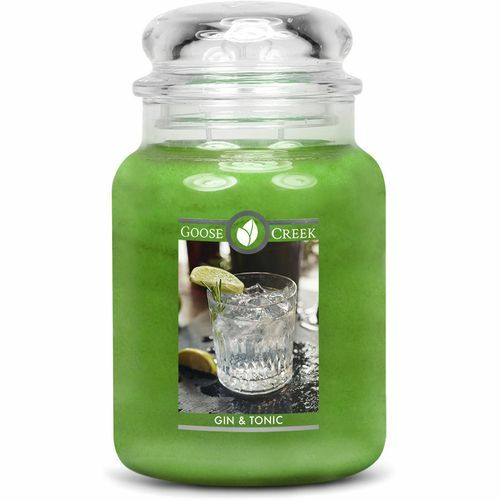 Gin & Tonic 24oz Candle Jar by Goose Creek The daring aroma of an evening gin & tonic. An effervescent, citrusy aroma. The wicks are made from solid cotton. They generate more light, less wax residue and pure clean fragrances.